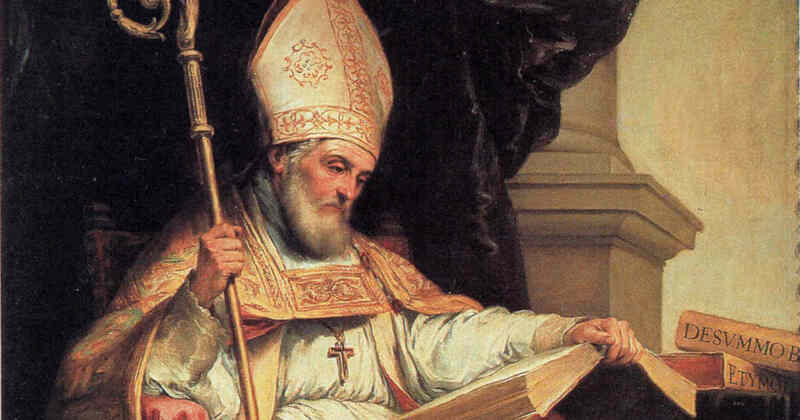 Saint Isidore, Bishop and Doctor of the Church - My Catholic Life! The vast colonial ambitions of Spain in the sixteenth and seventeenth centuries went hand in hand with equally epic Catholic missionary efforts. This unity of purpose, these shared goals, with civil and ecclesiastical resources and powers working in concert, was the natural consequence of a country with a total unity of identity. Today’s saint was a singularly important, if remote, source for that powerful concurrence of Iberian theology, culture, art, and language which, after centuries of gestation, became the Spanish juggernaut that conquered and evangelized a hemisphere in the 1500s. 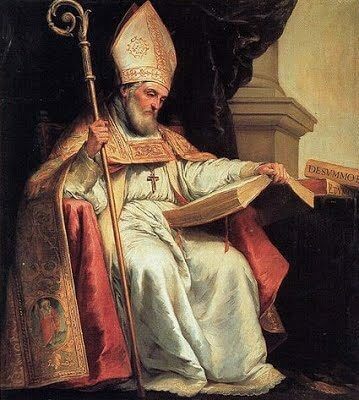 As a youth, Isidore received an excellent classical education in the Roman tradition, similar to the classical learning Saint Augustine imbibed two centuries before him and utilized to such great effect. Yet Isidore not only learned a great deal, he also remembered it and was uncommonly dedicated to his intellectual pursuits, writing numerous weighty tomes. The breadth and depth of his learning were without equal in his time. It was simply said that Isidore, Archbishop of Seville, knew everything. He is considered by many to be the last of the Latin Fathers of the Church, those early Christian theologians whose writings are the gold standard for all subsequent theologians. His knowledge was put to good use. As the Roman world, which had dominated Spain for so many centuries, slowly crumbled away in the fifth and sixth centuries, Visigothic (Western Goths) tribes overran Spain. Like their Gothic cousins in Central Europe, the Visigoths were Arians, and Arians were heretics. They denied that Christ was consubstantial with the Father and accepted all that flowed from that erroneous starting point. Saint Isidore played an important role in the assimilation of the Visigoths to Nicene Catholicism after one of their Kings abandoned Arianism. Theological unity having been achieved, the old Roman culture of Iberia slowly blended with Visigothic culture to form something new—Spain. Saint Isidore was, then, a nation builder, because he was first a Church builder. And he built the Church not just through his massive erudition but also through effective headship in calling and guiding Church synods, by establishing liturgical unity through the Mozarabic Rite, and by encouraging scholarship and learning through the Cathedral schools he mandated in every diocese. Saint Isidore’s most enduring work is his Etymologies (or Origins), an enormous compendium of universal knowledge. It was the standard encyclopedia in Medieval libraries and continued to be utilized as late as the Renaissance. No author’s manuscripts were more widely copied in the Middle Ages than Isidore’s. Although Saint Isidore was not a creative thinker in the same class as Saint Augustine or the Eastern Fathers of the Church, his mind was such a vast storehouse of knowledge that Pope Saint John Paul II named him the Patron Saint of the Internet. After a long reign as Archbishop of Seville, in his last days Saint Isidore prepared for death by wearing sackcloth and ashes, confessing his faults to his people in church, and asking their forgiveness. He died in his late seventies in 636, just four years after Mohammed, the founder of Islam, died in Saudi Arabia. About seventy-five years after their deaths, Muslim armies crossed the strait of Gibraltar from North Africa and began the long conquest which obliterated the Visigoths. The Spanish reconquest of their nation would take centuries until, in 1492, the last Muslim stronghold, Granada, fell. Both sides were inspired by faith more than patriotism. Both sides fought. Both sides thought they were right. In the end, the nation Isidore created was the stronger and drove Mohammed’s heirs back over the waters to Africa. Isidore’s enormous legacy was a Catholic nation, and it prevailed.